There are undoubtedly millions upon millions of brands vying for attention across every major social media network. From business pages to paid advertising, marketers have an immense number of ways to reach out to their target audiences. Whether you are focused on organic strategies, paid strategies or both, there are common denominators when it comes to success. As it turns out, the most successful social media marketing campaigns tend to have a few things in common with one another, regardless of topic or style. Today, we’ll review what those common elements are so that you can compare your social media marketing strategies against them. The most successful social media marketers understand that a defined brand audience is crucial to being successful. Do you know who your brand is targeting? In order to deploy the most successful campaigns – whether organic or paid – you need to know exactly who you are targeting with each post or ad. Otherwise, campaigns can wind up pinging noise at a large number of people who don’t necessarily have interest in your brand’s message. From simple characteristics like age and location to more complex indicators like interests and behaviors, some prior market research is necessary. Once you’ve determined this information, you’ll be more effective with each campaign – just like the biggest names in the business. 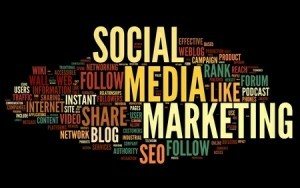 The biggest names in social media do not rely solely on links to their websites in order to be successful. What are you sharing with your audience? The most effective brands find a way to keep everybody in their audience entertained, in part by varying up the content they share. On some occasions, it may be a short video. In other instances, links to their own websites are essential. The most efficient brands are also not afraid to share links to other websites and brands that might not directly relate to their bottom lines, but nevertheless provide entertainment value or interest to their audiences. By providing an assortment of content – both in terms of type and source – these power-players ensure that their audiences are constantly engaged and interested in what is shared. Did you know that the average social media post has a half-life of just a few hours? This is a very important fact – and one that big brands understand. If you’re merely posting once per day to social media, then you are not reaching true saturation with your audience. The big players in social media understand that multiple posts per day are necessary for maximum exposure, meaning that their content curation process is constantly churning. You should aim for at least five updates per day to each of your social media platforms in order to be reaching as many people as possible. If you do not keep that constant relationship going with members of your audience, then it may feel like you’re pinging noise at them when they do see one of your posts every once in a while. Successful social media brands have several things in common. Among them, they maintain active posting schedules, a diverse assortment of content and know who they’re targeting specifically. If you have any other tips for successful social media management, please share them with us below in the comments.